I love me some “to do” lists! My business and life work best when I have clear goals and direction. The thing that makes me most effective is having a short list of things that I need to get done that I can put into my planner (which has a more comprehensive list of things that are ongoing). With that in mind, I wanted to take a peek at all the cool kinds of to do lists that are out there! The thing I love about to do lists is that they are not as permanent as some other parts of your planner. 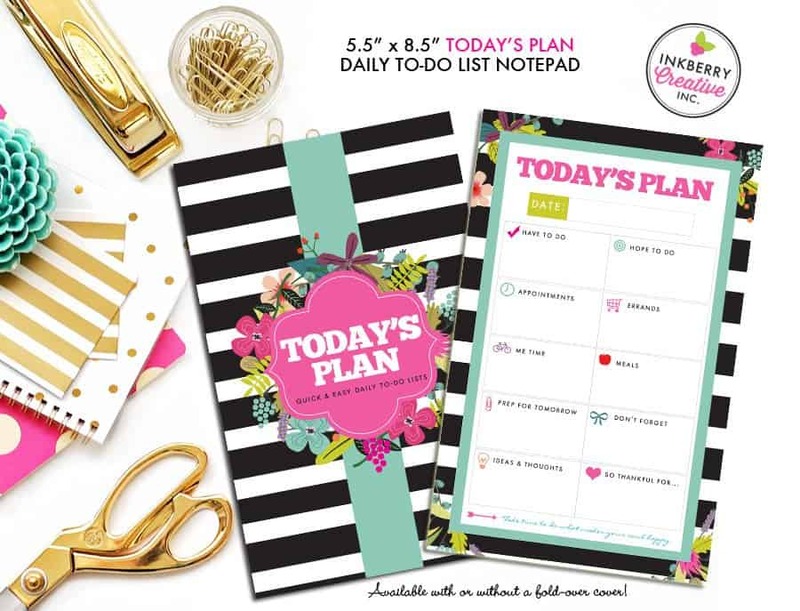 While you might pick a pretty planner or an ARC planner, a to list can change on a whim depending how you feel that day. Okay we might as well get this out the way early on, I am SO a fan of to do lists. I love having a way to set goals in a simple form and there is just something so satisfying about having all of your to dos done for the day! I make to do lists for myself for the seasons and sell them on my Etsy store. This is the set that I made for this summer! It is cool and fun and I am obsessed with flamingos right now so that little gal with the sunglasses makes me smile! 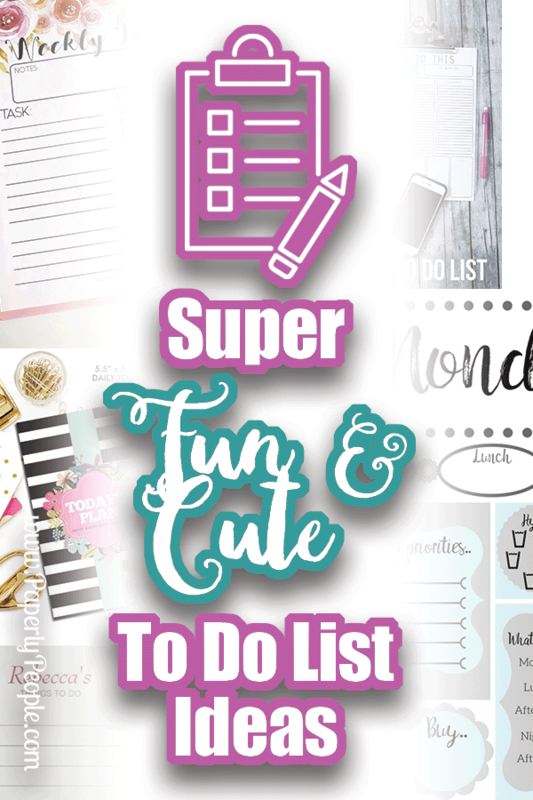 This to do list from Simply Happy Mama is a very robust and tracks lots of things on a day by day basis. I kind of feel like this more of a planner page than a to do list, but I know that some gals like to have everything in one place. I tend to use a to do list to see JUST the things that I HAVE to get done in the day and I think that this might mess me up with all of the things that are going on. That said, if you want to track your day, this would be a great way to do it all in one place! 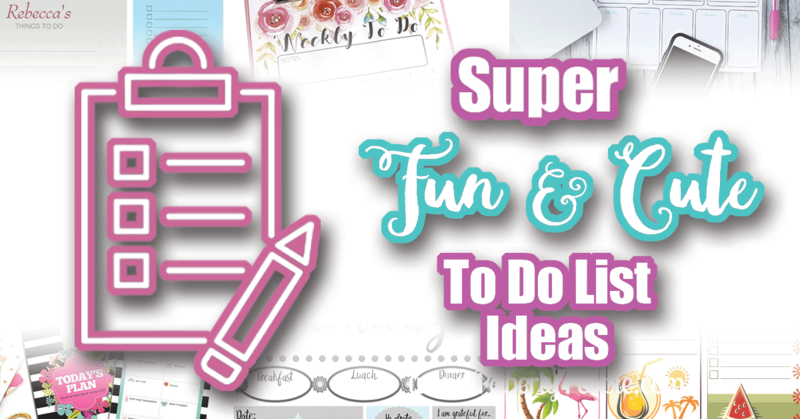 This free printable to do list from Adventures of Fang is a super neat way to record weekly tasks. This would be a great way to track things like “wrote blog post”, “exercise” or “social media checked”. I love this idea for crazy busy people who are not necessarily trying to do a whole bunch of things each day, but want to make sure that important things get done. 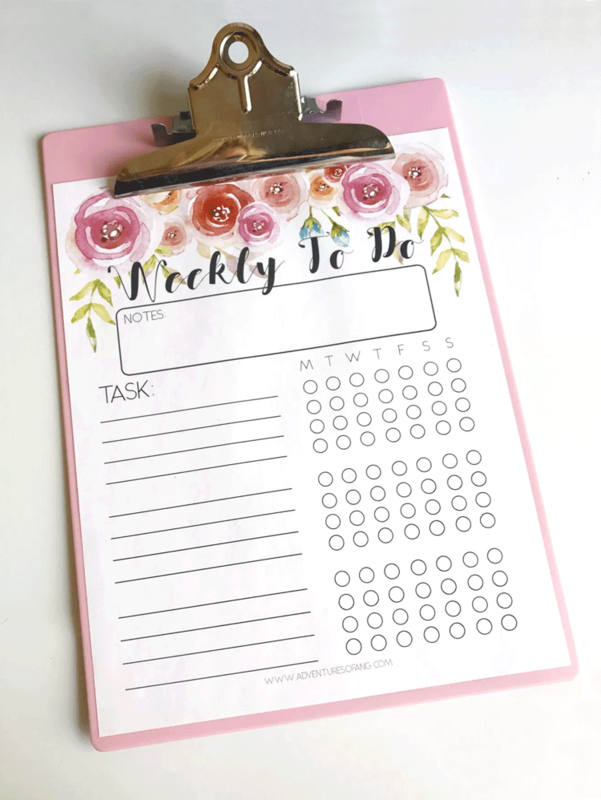 Doing all your weekly tasks this way reminds you of all things you want to focus on a weekly basis because you see them each time you check something off. This is the next level up of weekly to do lists. It is a bit more comprehensive than the one above. Landeelu breaks things into “must do, asap and eventually”. She talks about being a stay at home Mom who wants to make sure everything gets done over the course of the week. If there were one thing I would add to this it would be check boxes or squares so that I could check things off as they are done. If you are bullet journalling you could simply cross off things that were done! 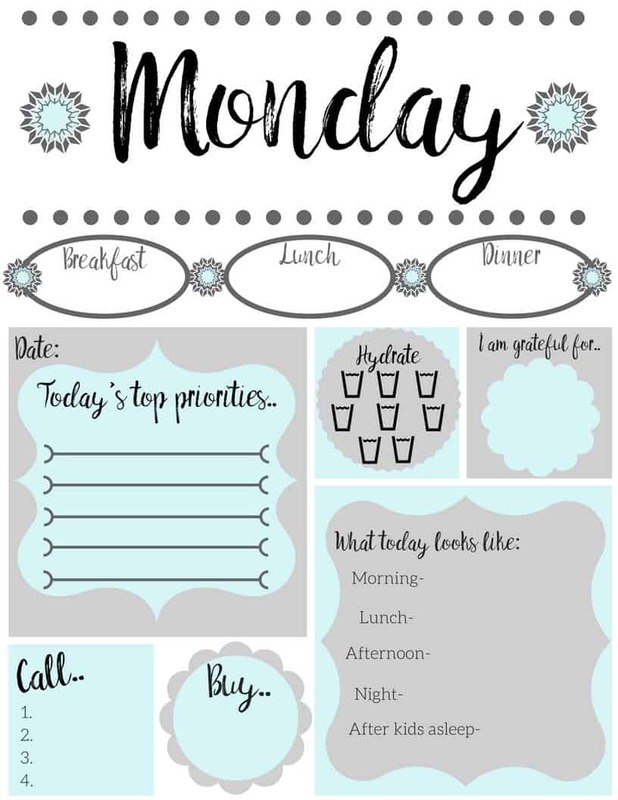 This is a super pretty, tablet-style to do list. It is from Inkberry and covers things like “have to dos, thoughts and grateful fors”. This would SO not work for me since 1. I write big and 2. 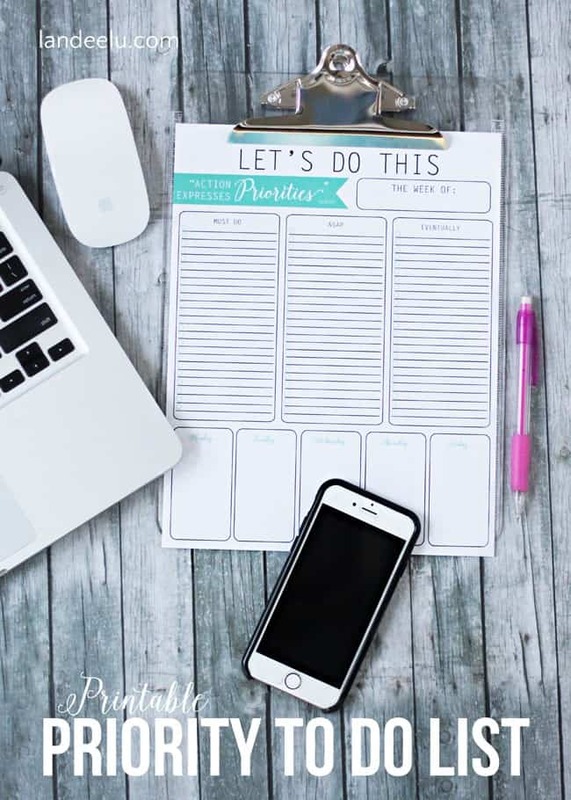 I am more goal oriented and want to have a to list that is more focused on accomplishing tasks than recording my day, but I know lots of gals who like to keep a running record and this would be a super pretty way of doing that! Oh my gosh! I am in love with these…. they combine the usability of to do lists with the functionality of post it notes! 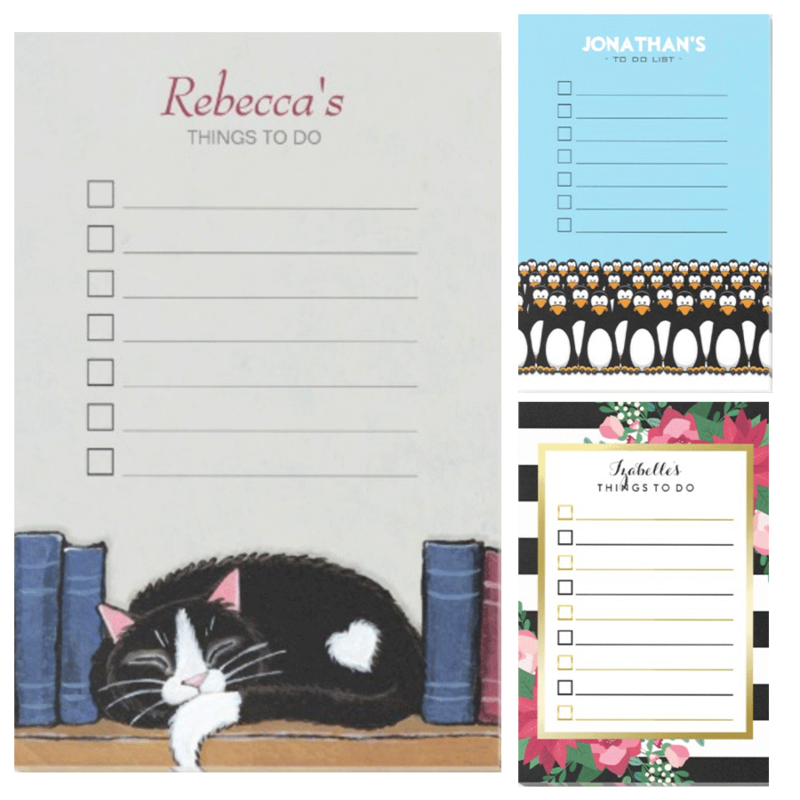 Since they are from Zazzle they are super customizable with your name and fun prints! 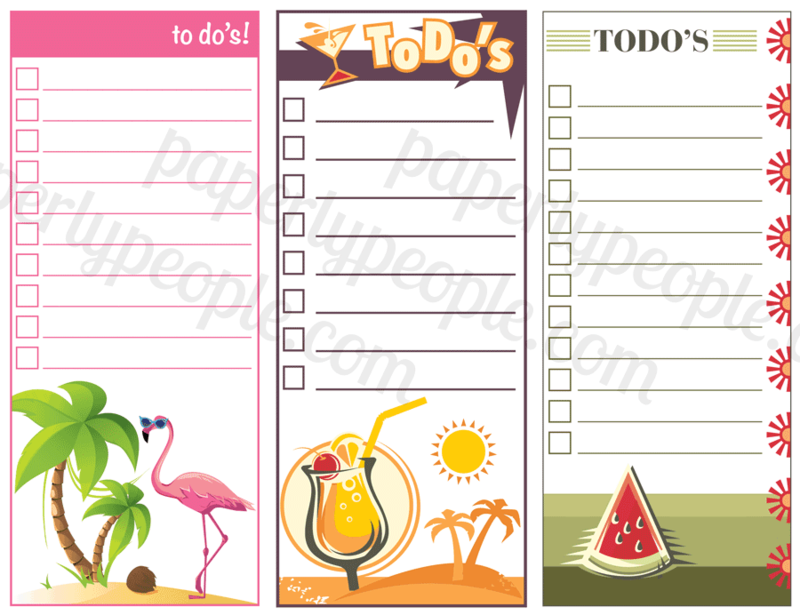 That is the cool thing, with Zazzle you can customize your to do list and make it your own!